The Alice PDx portable diagnostic recording device is intended for Obstructive Sleep Apnea screening, follow-up and diagnostic assessment of cardio-respiratory sleep disorders. The flexible and portable sleep testing system incorporates advanced features required to meet today's industry needs. It's compact size is perfect for home sleep testing needs while providing capabilities of basic screening to advanced diagnostic evaluation. The system satisfies the portable testing requirements for levels II, III and IV. 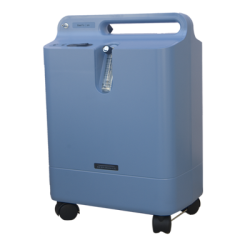 The Alice PDx enables patients to be tested outside of the lab, and in the comfort of their own home, without compromising study results, and helps clinicians avoid the costs associated with retesting. The Alice 5 Diagnostic Sleep System sets new standards for sleep labs eager to customize powerful features today but interested in flexible architecture to accommodate tomorrow's growth. Alice 5 features: fully integrated sleep laboratory system over a network cable; expanded channel capability to 55 total channels; high quality ECG with 6 channels and pulse transit time, and real time impedance display.